Hop on the wiggler coaster and look at the TV. It's party time! This Video Game Review was released on December 16th 2016 by Giant Bomb. 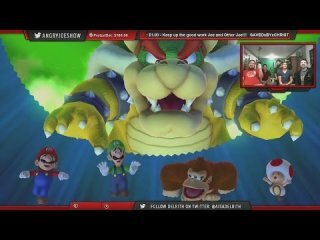 Angry Joe Show: AngryJoe Plays Mario Party 10!